My family had a BLAST in July. (which is why I have been slacking on the blog, I swear I will get back to regular posting soon… really!) We kicked off with 4th of July weekend and ended with my sweet son’s 7th birthday on the 31st. I stopped by Nordstrom’s when their anniversary sale started since I had a day off of work, and I really wanted these Kendra Scott earrings. (which I bought in the gold/rose quartz and LOVE) I randomly decided to try on these skinny jeans from Kut from the Kloth and I am obsessed! They were on sale for $60. They are the perfect thickness, color, cut and stretch. They are long enough too, which is something that I have a problem with when it comes to skinny jeans. (Most of my skinnies end up looking kind of like an ‘ankle’ fit on me) Gotta love a good pair of jeans! This (obviously) is not me, I took it from Nordstrom’s website, since I don’t have any pictures of myself in the jeans, because I am lazy. 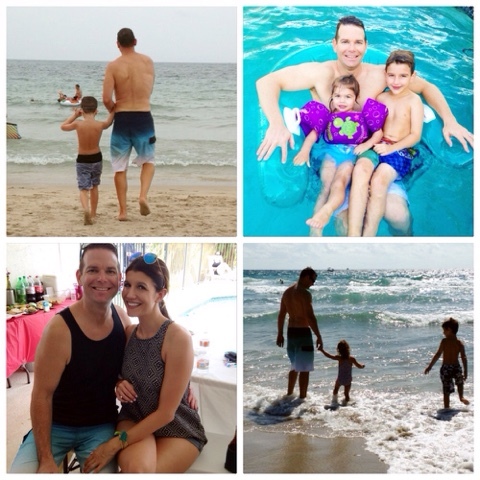 My sweet hubby is super picky when it comes to bathing suits. He rarely buys new ones, and we he does it is a PROCESS. So when he came home from a Wal-mart shopping trip and mentioned he bought a new bathing suit, I was surprised. It was so cute! (or handsome… or manly, whatever) I love the way he looks in it (obvi) and he says it is the most comfortable bathing suit he has had in a long time. He has since bought another one and is now a huge fan of Walmart swimwear. My handsome honey in his favorite swim trunks! This was his birthday month, so my sweet boy has lots of new goodies we have all been playing with!! 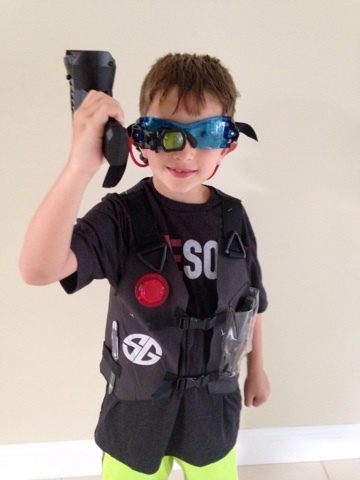 He had been begging me for Spy Gear night goggles ever since he saw them on EvanTube, so I gave my sister-in-law a heads up and now he has a TON of awesome Spy Gear stuff thanks to the best Aunt & Uncle! Not only did they get him the goggles, they also threw in binoculars, a mirror spy thing-y, a voice disguiser and a very cool spy gear vest! He wears this stuff to camp, to bed and everywhere in between! Watch out! Spy Gear in action! Mila is obsessed with this doll. She has been asking for one since she saw the commercial one morning. You dip her mermaid tail into bubbles and then pull a little string to make the tail spin.. and voila! Bubbles! It works pretty well, but the bubbles do drip and spray everywhere, so be sure to do it outside. The bubble fun lasted about a day… but now this mermaid is Mila’s buddy. She takes it in the bath, mer-barbie came along on our beach weekend and she is always walking around the house with her. 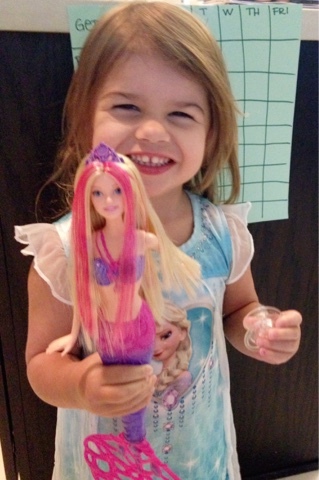 Happy girl with her mermaid barbie! So those are just a few things we are currently obsessed with! Do you have anything good your family is loving right now? I would love to hear about it in the comments section! I want those jeans!! And.. your kids are adorable! Thank you! I have been looking for a perfect pair of skinny jeans for awhile now! Have a wonderful week! I just bought some beer samplers this weekend since they have so many different kinds in stores now! I always want to try them all!! 🙂 Sounds like your family is into some fun stufthanks for stopping over! I am definitely going to go check out those jeans! I have been on the hunt for a new pair of good skinny jeans. I know! He is obsessed! haha the model pic is NOT a good representation! Trust me.. they would look fantastic on you! Your kids are so adorable. 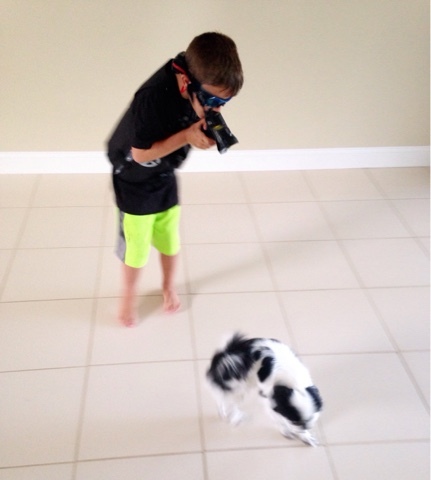 I love the spy gear…or rather I think my son would love it. My husband also desperately needs a new swim suit. Thanks for sharing! What great favorites! That spy gear sound super fun. Thanks for the jeans idea, I need a new pair. My son loves the mens swimwear too, and I like that they are reasonably priced! I love the spy wear! The outfit isn't bad either! My girls used to love dolls you could swim with. I'm ready for a beach run. Looks like you had a nice time.